It’s a classic case of the shock doctrine in action: In the wake of the horrific terrorist attacks on Paris earlier this month, the French government is using that crisis to try to silence the climate justice activists who have converged on the capital city for this week’s COP21 climate conference. But it’s not working. In the first of Naomi Klein’s video dispatches from the frontlines of the Paris climate justice protests, produced by Mediapart and The Nation, Klein explains that at the bottom of all the jargon that will be thrown about this week are human lives—lives that are already being impacted by climate change. If these talks fail to produce substantive changes to our carbon-intensive economy, those lives will only be in greater danger. 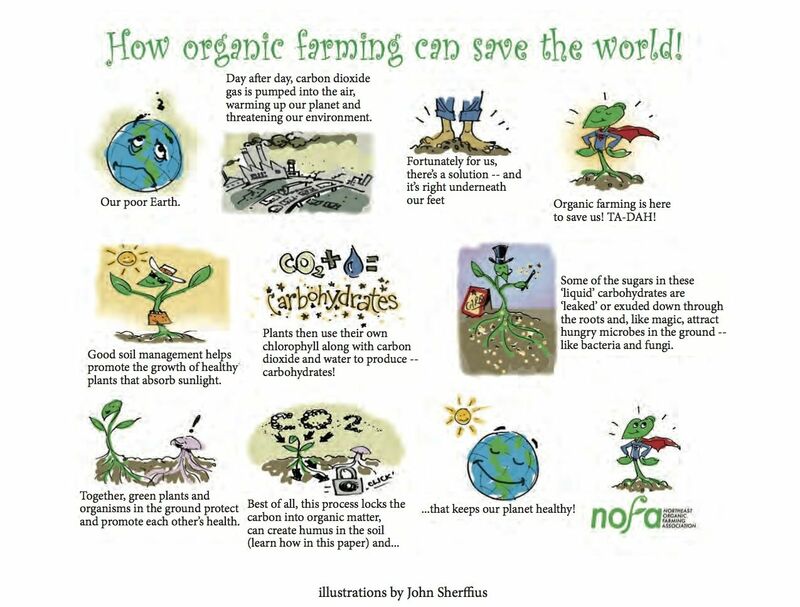 Great infographic from John Sherffius and the Northeast Organic Farming Association.